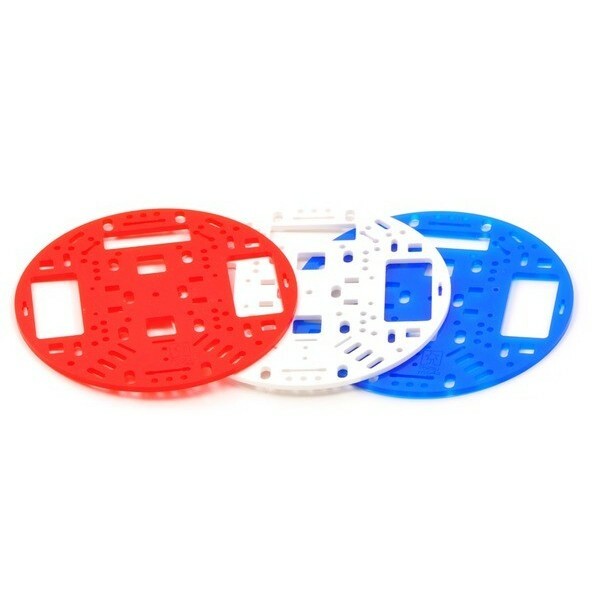 The chassis is in the form of a circle with a diameter of 127 mm. It is made of 3 mm acrylic. 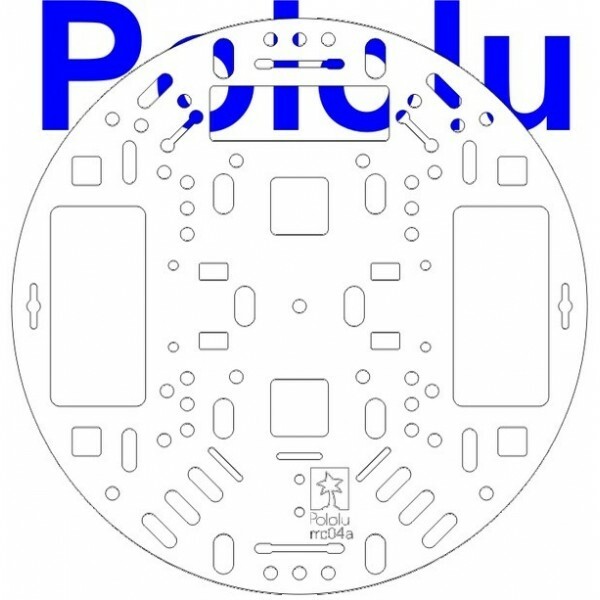 The plate has holes that allow easy installation of elements made by the Pololu company. 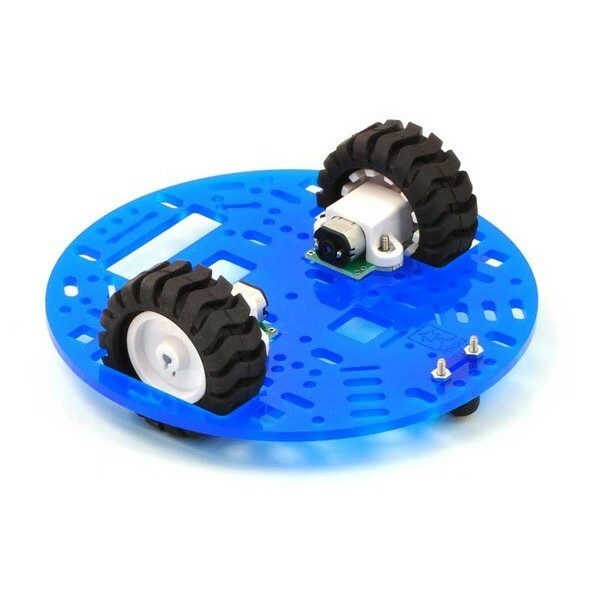 The chassis is in the form of a circle with a diameter of 127 mm. It is made of 3 mm acrylic. 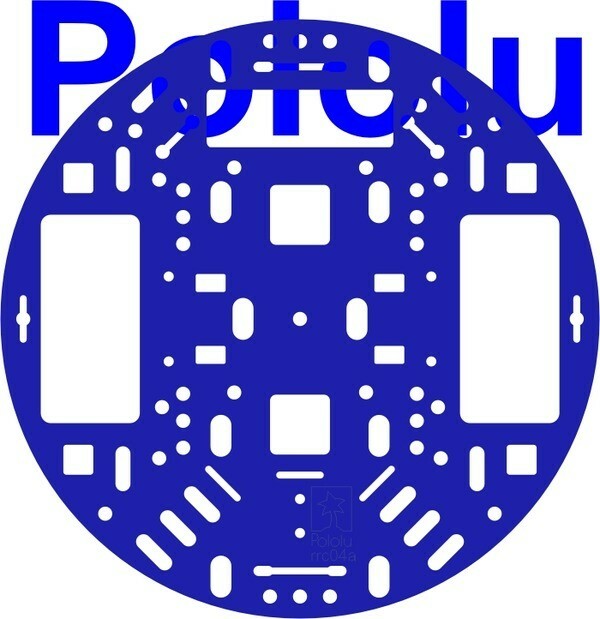 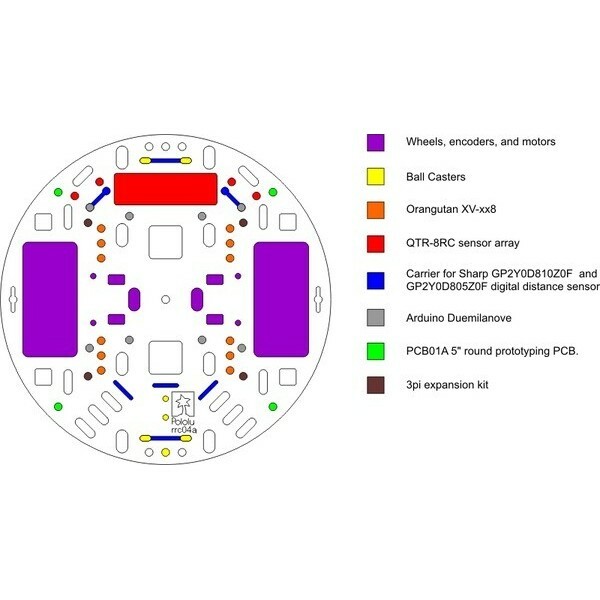 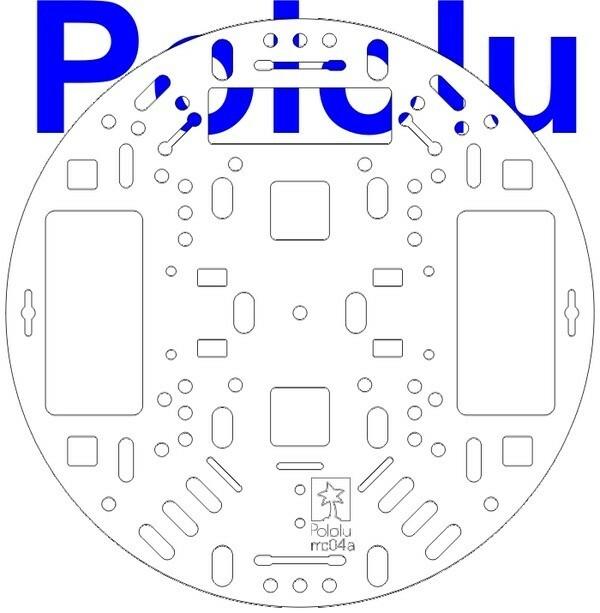 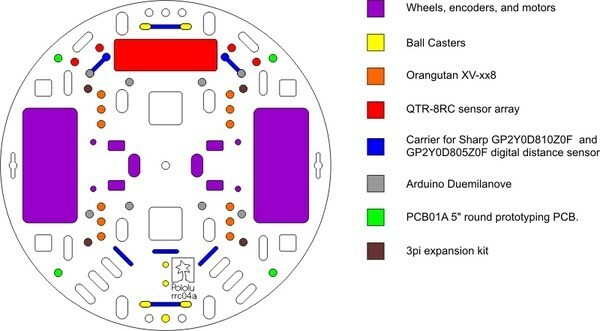 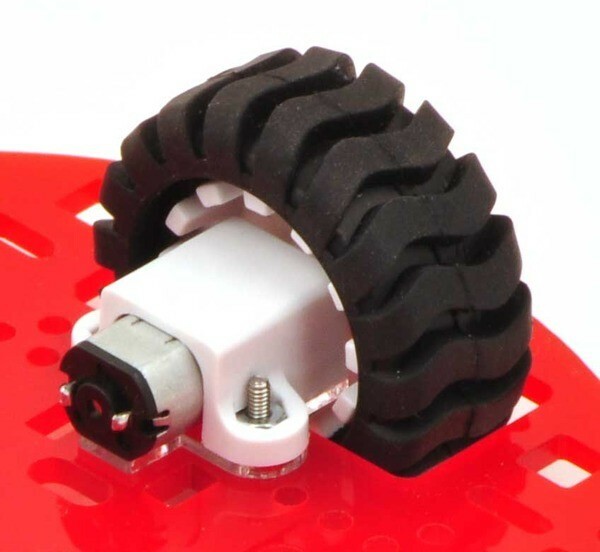 The plate has holes that allow easy installation of elements made by the Pololu company, including: motors (with mounts), wheels and various sensors. 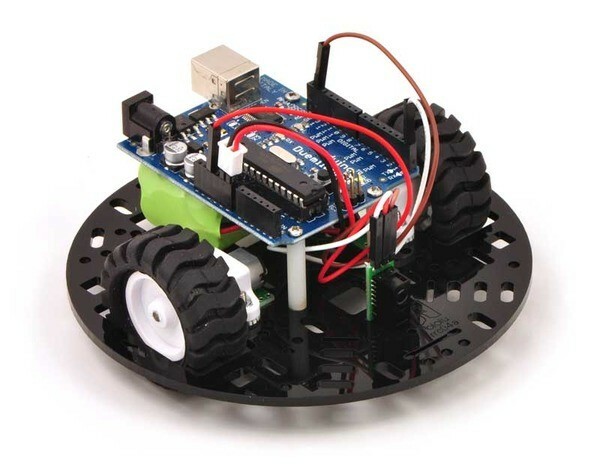 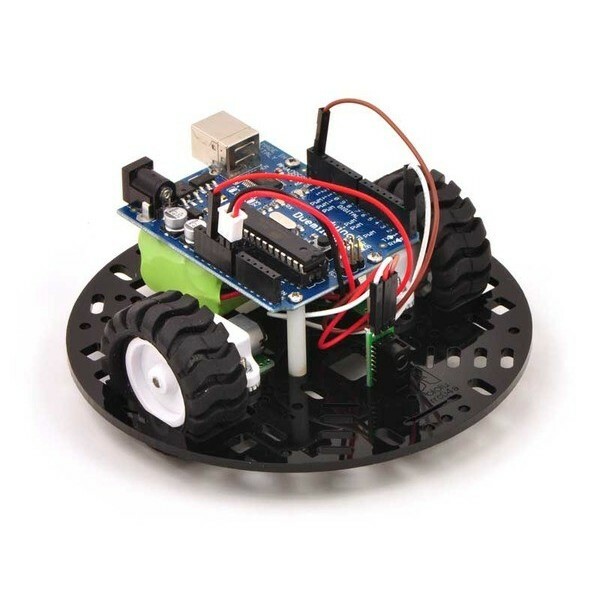 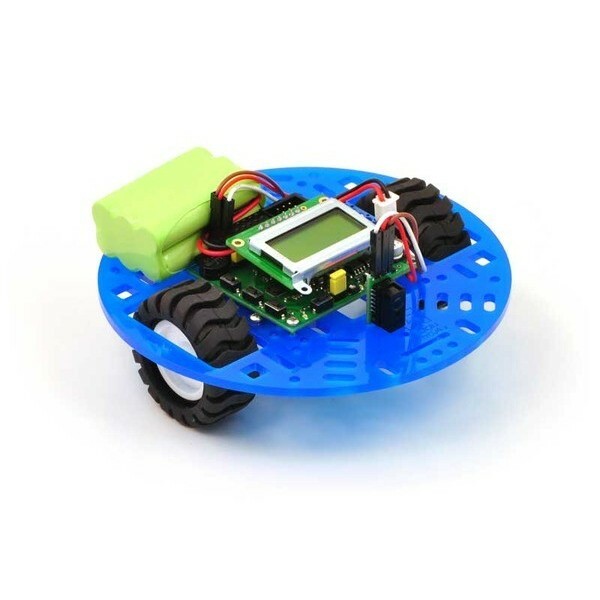 The Pololu product makes it easy to create a complete chassis for a robot. 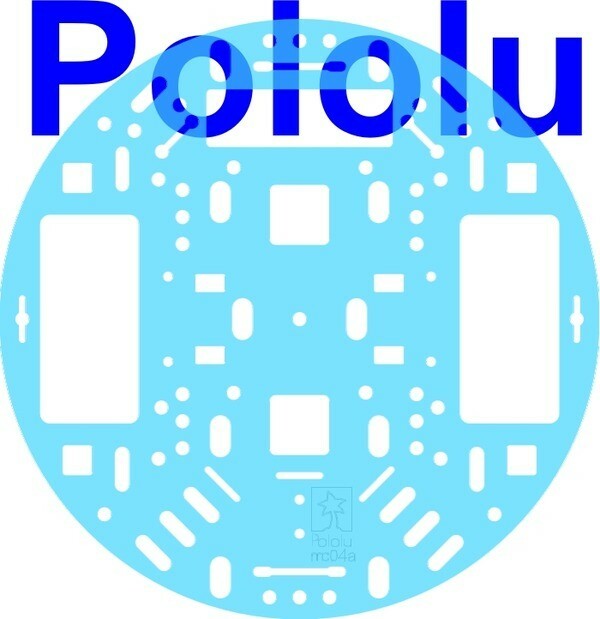 Support ball 3/8" or 1/2"
The distribution of the elements offered by Pololu. 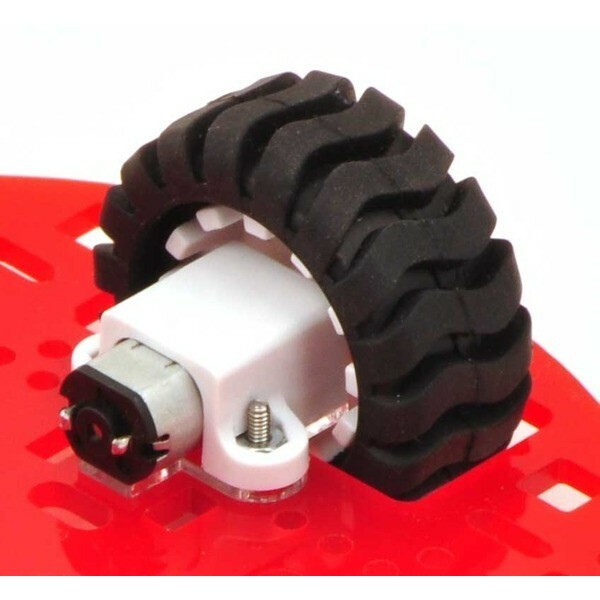 Analog distance sensor Sharp GP2Y0A21YK0F (distance meter) detecting the objects within the range from 10 to 80 cm. 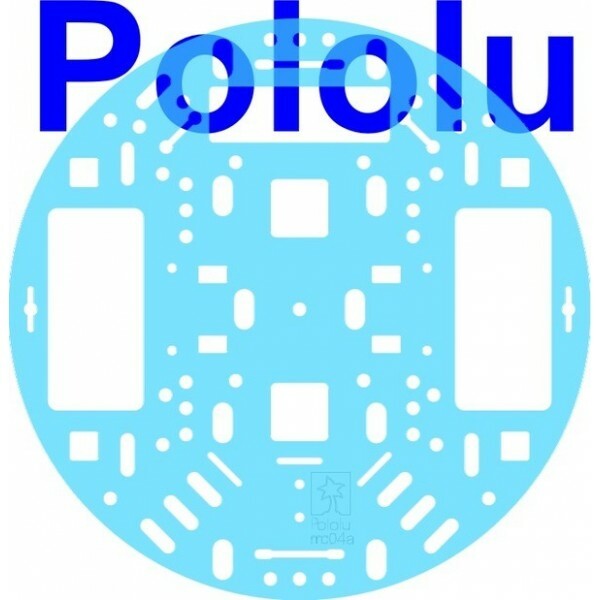 Miniature high-power engine company Pololu gear 50:1, is 630 rpm, the torque is 1.1 kg*cm (0,107 Nm).